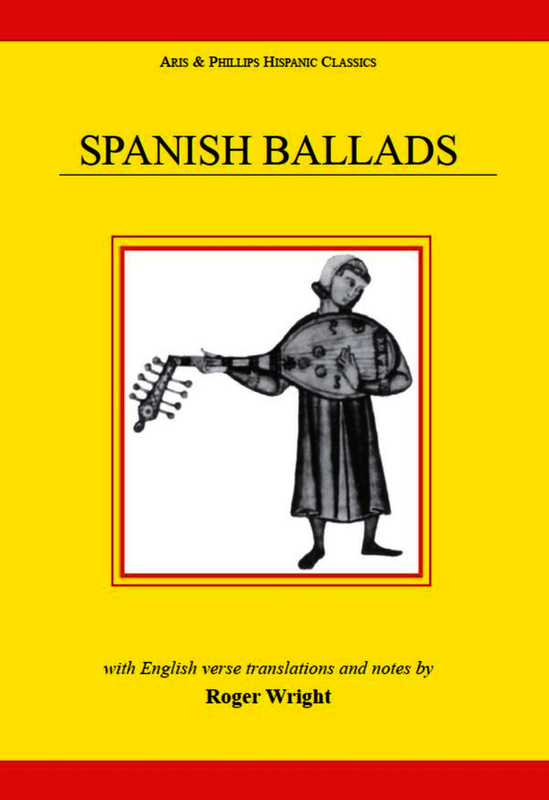 The Spanish ballad tradition is one of the largest and most colourful in Europe, as reflected in the present collection of 71 of the best examples. They include tales of love and adventure, ancient legends such as those of Rodrigo the last Visigothic king, the battle of Roncesvalles and Bernardo del Carpio, stirring accounts of events of Spanish History such as the life of the Cid and the reign of Pedro "the cruel", as well as the "frontier ballads" about the relations between the Christians and the Moslems. Roger Wright's brilliantly performable verse translations closely recapture the style of the originals and make the meaning and spirit of the mediaeval ballad tradition come alive. His careful transcriptions of the Spanish texts and his detailed historical and linguistic notes provide a valuable insight into this splendid tradition. Spanish text with facing-page English translation. Roger Wright is Professor of Spanish at the University of Liverpool. Professor Wright's teaching, publications and research interests lie in Spanish Linguistics (in particular the history of the language) and Spanish oral literature. He is a leading international authority on Late Latin and the development of vernacular Romance languages.